Preview/Inspection: Friday August 26 from 9:00am – 5:00pm EDTLots start closing at 7:00 pm on Wednesday August 31Pickup/Removal: Thursday September 1 from 9:00am – 5:00pm EDTYou must be here by Noon in order to pay with cash or check. After noon, all outstanding invoices will be charged to the credit card on file. 1950’s and 1960’s Mint Sets, Silver Eagles, Key Dates in Mercury Dimes, Buffalo Nickels, Standing Liberty Quarters, Walking Liberty Quarters; Morgan Silver Dollars, Peace Dollars, Fantastic Collection of Large Cent Coins, Collection of Barber Halves, Carson City Morgan Silver Dollars, Franklin Half Dollars, Indian Head Pennies (some key dates), Foreign Coins, Collector Proof Sets, Key Date Lincoln Cents, Lots, Lots More!!! 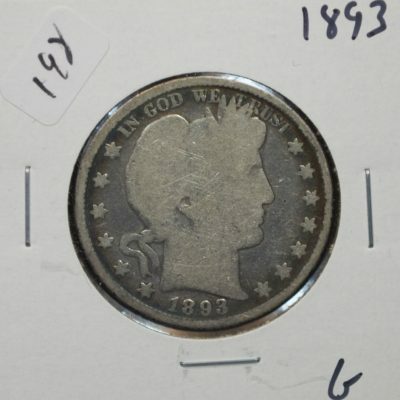 300 Total Lots of some of the Finest Coins to Come through the Sale!!!! Powell Auction & Realty LLC are not coin graders. Please preview the sale and be satisfied with what you are bidding on. If you are unable to preview in person, please feel free to give us a call and we will be happy to assist you in any way we can. A 10% buyers premium will be added to each bid to establish your final bid price. Please keep this in mind when placing your bids!!! Good Luck and Happy Bidding!! !